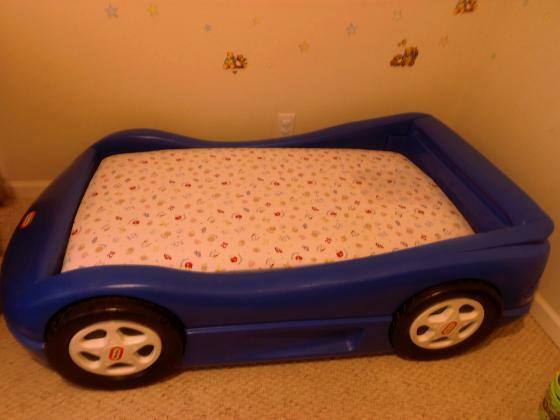 Little Tikes toddler car bed. 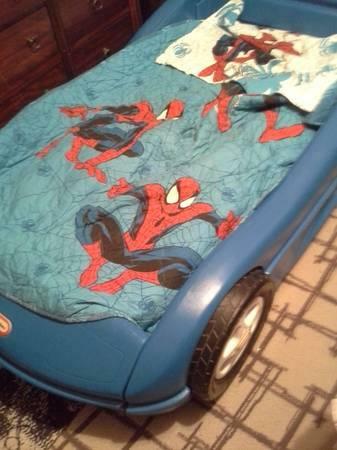 Car sheets and comforter included in price. Some markings on the bed that could easily be cleaned up. Must pick up.